Waldo’s Glass was a new business looking to make their mark in the El Paso market. Some of their competitors have been around for decades so Waldos Glass wants their identity to match the years of experience they have behind them. 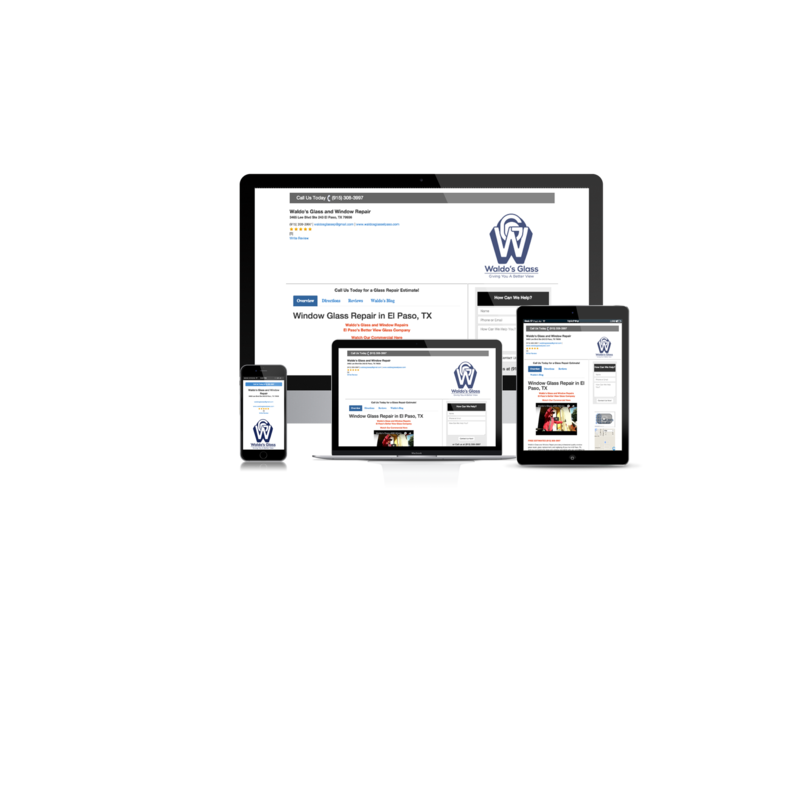 Positive Design Company was hired to create a new logo and refresh their website to a mobile friendly, customer friendly website. Waldos original logo didn’t do them justice. The logo didn’t make them stand out from the crowd and the colors weren’t strong enough to capture a customers attention. After a consultation we figured out what their future plans were and how we could help. We designed the logo with one color to grab a customers eye to save the company some money as they grow. 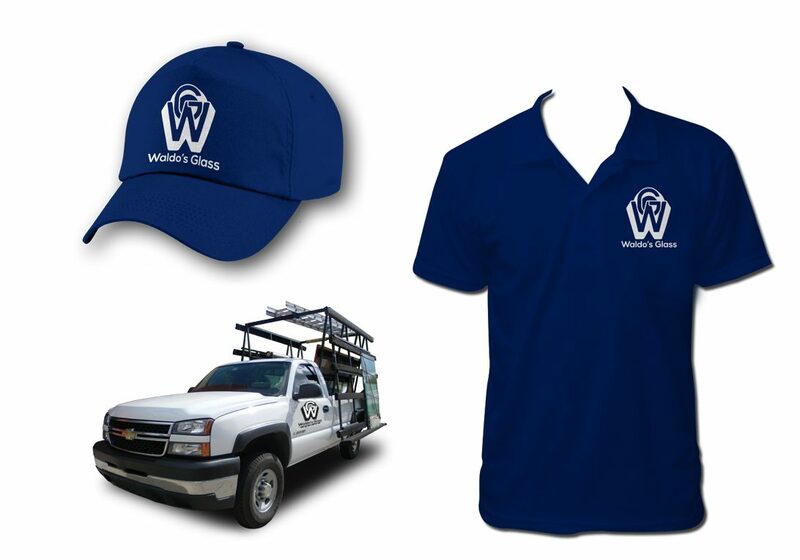 With one strong color choice they are able to print high volumes of company apparel and keep their costs low. Once we completed the logo, we moved onto redesigning their website and creating an easy way for their customers to reach them. Their first website was not mobile friendly and the user experience was terrible. 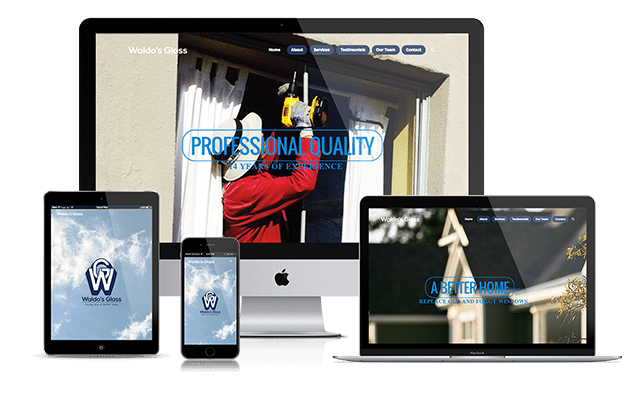 Waldos Glass needed a website which can bring leads and easily qualify customers. Once the redesign was completed we added a custom quote form to bridge the customers digital experience to when they speak to an associate. A customer is now able to fill out a quote from their mobile phone and the customer service associate can know exactly what the customers needs are and solve their problem as fast as possible.